IS DISTRICT 13 COUNCILWOMAN VICKIE WELCH IN MORE TROUBLE? Yep I know bold headline but the following is very interesting and very telling. I received this poll on the District 13 race from River City Polling and found it interesting to say the least. For the record I have not verified whether Vickie took trips with those mentioned in this poll but based on history it probably did happen. We are conducting an automated political poll for this May's Democratic Metro Council primary. First question, are you a registered Democrat likely to vote in the May primary? To answer yes, please press 1. Again, if you are a registered Democrat likely to vote in the May primary press 1, if not, press 2. Second question, if the Democrat primary for Metro Council was today for whom would you vote? There are two candidates: to vote for Vicki Welch, press 3; to vote for Larry Roger Price, press 4. Again to vote for Vicki Welch, press 3; to vote for Larry Roger Price, press 4. Third question, would you change your vote if you were given proof that Vicki Welch had voted to give millions of taxpayer dollars to organizations like the League of Cities and GLI and then took luxury trips with them? Again, if you were given proof that Vicki Welch had voted to give millions of taxpayer dollars to organizations like the League of Cities and GLI and then took luxury trips with them, would you change your vote? Please press 3 if you would change your vote; please press 4 if you would not change your vote. Last question, would you change your vote if you were given proof that Vicki Welch had been using taxpayer money to campaign for Metro Council? Again, if you were given proof that Vicki Welch had been using taxpayer money to campaign for Metro Council, would you change your vote? Please press 5 if you would change your vote; please press 6 if you would not change your vote. "This concludes our poll, thank you for your time". 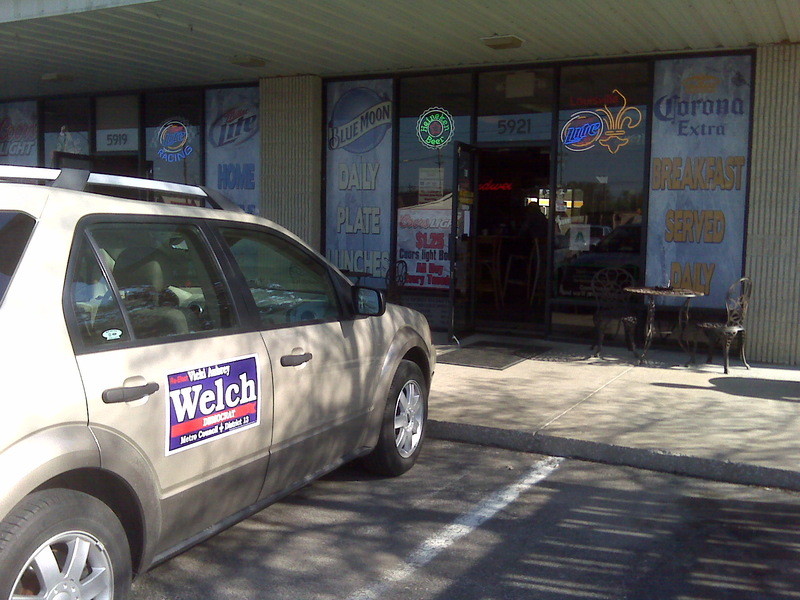 Welch faces significant primary battle given her spending and voting record! Would you change vote if given proof Welch campaigned on tax payer money? 612 people responding to poll. Democrat voters likely to vote in this May's primary. This weekend from Friday 4/22 to Sunday 4/25. The interesting thing is the changes when the 3rd and 4th questions are answered. If proven Welch is in serious trouble. Open records will help us prove or disprove this either way. First it seems I will have some time on my hands again to update you the reader. Dynacraft apparently overestimated their needs for manpower and have started laying off most they recently hired. Yep that includes me. So much for the new job and economic recovery. Much has been going on lately so I will update a bit here and then get back to more research. As the one who brought about the charges against Jim King and fought to ensure it did not get swept under the rug as intended I can assure you that King should not be elected. This case is far from over. Jim King has several criminal violations being investigated right now by Special Prosecutor Hart Megibben and the Kentucky State Police. This criminal investigation is ongoing and the KREF was just the beginning and only ONE part of the actual case. Remember IF King wins the primary then is indicted the Mayoral race is over for Democrats. 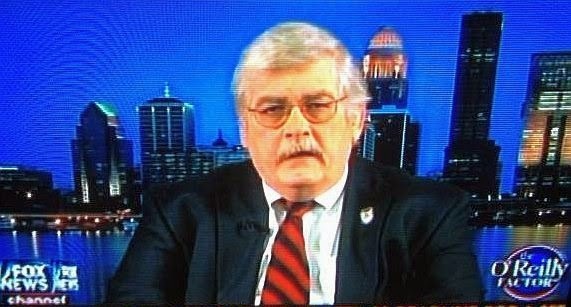 Jim King is still under CRIMINAL investigation by the Special Prosecutor Hart Megibben AND the Kentucky State Police. For anyone thinking of voting for him remember this. If you elect King and he is found guilty after being indicted and before the General election he cannot serve as a felon. There goes your vote. And you will then have no choice on his replacement in the primary. Chris Thieneman has been taking some heat for his statements about involvement in a play to pay scheme back in 2000. For years I have been told about pay to play schemes by people who would not use their name for fear of retribution. These stories are from multiple sources and would involve so many prominent people your head will spin. Thieneman going forward with this during this campaign was an extremely bold risk to take. Though Chris has spoken of this issue previously no one in media ever wanted to pursue it. Now as a Mayoral candidate Chris used that platform to bring it to light. Quite frankly, I am glad Chris came forward with this revelation. Chris has put his own name and rep on the line to bring it to the forefront. Whether you agree or not this could be the beginning of the end of this travesty of politics here in Louisville. The days of pay to play are numbered and it starts with people like this willing to go public. The scheme includes those such as Fred Cowan and some have even alluded to Dave Armstrong. Commonwealth Attorney Dave Stengel should already be investigating this and pursuing Cowan, which will lead to many others I assure you, but Stengel cannot. Why? Because Stengel himself is bought and paid for by the machine in my opinion. His involvement with the Jim King case, and his lack of fortitude in doing his job accordingly, was a major red flag to me of just how far he is involved. After Stengel received a loan of more than $500,000 from King's bank, and the rumors of the reasons behind his divorce, it is obvious to many Stengel cannot do his job due to his "obligations" to others instead of those who elected him. You sure can buy a lot of friends with $500,000 can't you? This will get very interesting to say the least so stay tuned as charges may be forthcoming. One of the positive things about the CJ is that each election they ask questions of all candidates and post them on their website, and other avenues, to get it to you the voter. I believe everyone of us have the right to know how each candidate responds to these questions. An informed voter is a good voter regardless of which candidate you choose in the election. Q. Why are you the most qualified candidate? A: I stay involved and work towards change daily not just show up for elections. The recent $30,000 King fines, the highest in known memory throughout the State, are but one example of my involvement in cleaning up Government. This alone was a 2 year process and is ongoing. Helping get SB64 signed into law, drafting SB 222 to aid Charities throughout our community are others. Check out my website and you will see the daily dedication and efforts over the years NOT election years only. Getting to the root of problems, accountability, openness, transparency, honesty, and integrity are my greatest strengths as proven by my work. Q: What are the most crucial issues, and how would you address them? A: Job stimulus and education are the top 2 right now. Restructure the current tax system, focus on small business development and growth, starting with our most troubled areas, through the use of microloans is one start. Education needs to be completely revamped starting with the dismantling of KERA and reworking how we prioritize spending. We have seen over and over the current crop of career elected "leaders" continue to fail us by the same old tired thinking. We must open the door to new ideas to stimulate ourselves. Q: How should the legislature solve the problem of declining revenues that have forced cuts in education and other state services? A: Start by doing our jobs. The budget must be the first order of the day not the last thing considered during the session. I propose the budget reaches the House not later than the 3rd week of January each year and the House then immediately reconciles the budget and sends to the Senate.Upon a budget agreement we then know what we have and have not. Once we have a balanced budget we can then hammer out any extra spending, or pork, based on surpluses. I also would lower taxes immediately on small business. Offer tax incentives for small business growth and establish the microloan program referred to above. Q: Do you favor or oppose reforming the state tax system to raise revenue. Why? And taxes would you increase or cut? A: I believe the state tax system should be reformed so I am in favor of that. The current tax system in place makes Kentucky and our local communities, like mine in District 28, non competitive for new business. The first thing to cut is, like I have stated above, small business taxes. This business is the lifeblood of our community and the most abused from a tax structure perspective. 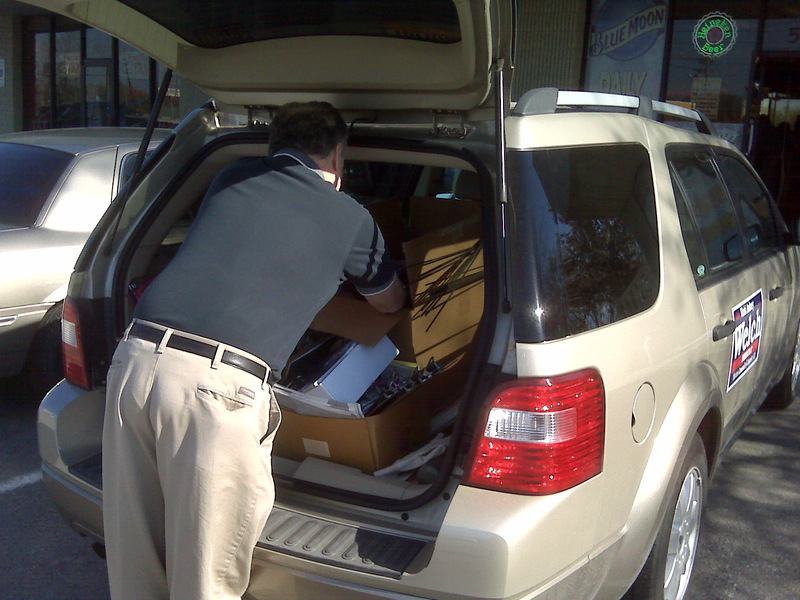 Occupational taxes, vehicle taxes are others. Q: Do you support expanding gambling to allow video slot machines at Kentucky's race tracks? A: I support expanded gambling in principle because I believe it is a foregone conclusion that gambling is here to stay. With that in mind we continue to send millions out of State each year that we can use for economic stimulus. I do not favor expanded gambling primarily for horse tracks. I am already involved with this issue working on behalf of charities by co writing SB 222 that would allow expanded gambling and charitable gaming to co exist. The KEEP organization's own spokesman liked the plan then opted out in favor of trying to gain it only at the tracks instead once again. Some legislators are still playing politics with this in hopes of setting themselves up for future office. This has proven in my eyes, and many others, that the horse industry, and their lobbied legislators, are only interested in their benefit and not that of our communities. This mindset is unacceptable and will hurt the charities that need help the most. This stalemate has to be resolved. Q: Would you support legislation that raises Kentucky's dropout age from 16 to 18? A: Yes. I can see nothing positive being accomplished by someone 16 years old without an education. First an apology is in order. The MyViewMatters Radio Show is usually uploaded each Wednesday night and in this case it is late. For you avid listeners my apologies as I have been extremely time restrained with the campaign efforts in my District 28 House Race, the new job, and keeping up with the blog. The last few months have been challenging to say the least but everything eventually levels out and is now in the process of doing just that. Thanks for your patience. Wednesday's show was with Dr. James Buckmaster who is running in the Democratic primary against Jack Conway and Dan Mongiardo. I must admit I was somewhat surprised with Dr Buckmaster. Having not known much about him other than the usual periphery glance on candidates there really was not much to look at. Additionally, our custom is to meet with guests pre show to kind of get a feel for each other and in this case Dr. Buckmaster's schedule did not allow for it. In short this show was a first glance and first meet show with no prep work. 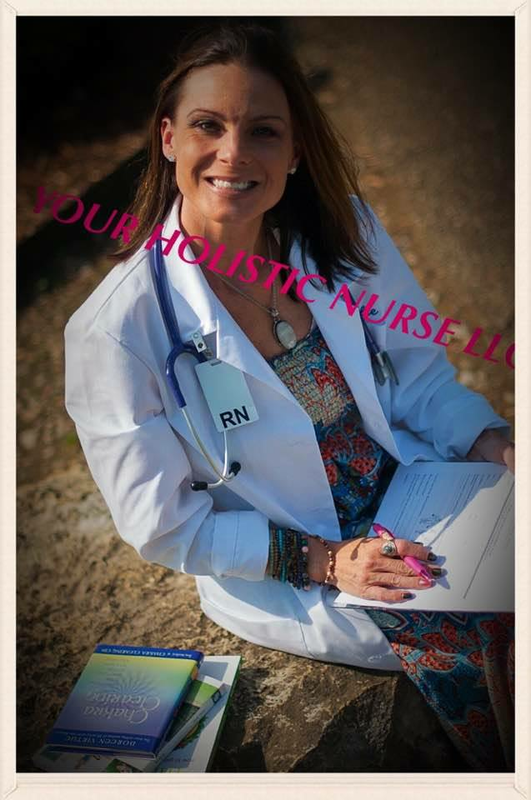 Dr. Buckmaster is someone who is in touch with the issues of Kentucky, has a great passion for changing the way government is now being run, and sincerely wants your vote. Tune in below for the show and let us know what you think. PS the show will be preempted this Wed April 28 due to WKJK's contractual obligation to air baseball in our time slot. We will return in 2 weeks on May 5. Additionally there will be 1 more week of preempted programming on May 12 for baseball. I was informed today that I have been endorsed by Take Back Kentucky and Take Back Louisville. Both organizations work very hard to get us back to our Constitutional beliefs and empower we the people. It is with great pride that I accept both. The fight for freedom is one that we must continue to fight daily and diligently. No more can we stand aside and allow our voices to go unheard. 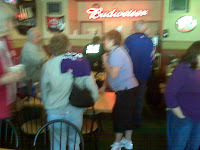 Many thanks to each and everyone of the members of Take Back Kentucky and Take Back Louisville. I will work diligently everyday to ensure our rights are protected and preserve our freedom. It is an honor to be thought of so highly by these organizations. Sometimes in life we get surprised and today was one of those times for me. 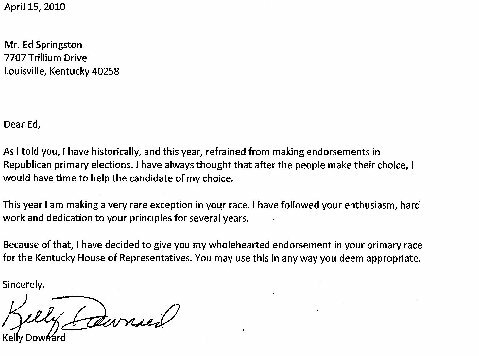 Metro Councilman Kelly Downard sent the letter above endorsing my campaign for State House District 28. What makes this so special and interesting is that Councilman Downard and I were on opposing sides during the 2006 Mayoral race. This endorsement for me proves once again that many of us can work through our differences towards the greater goal of bettering our community. Since the 2006 election I have had the privilege of being able to speak with Councilman Downard many times about problems here in Louisville and found myself siding with him on several issues. The commitment Councilman Downard has towards bettering our community is a tireless one. I have followed Councilman Downard over the years and have to say he is a rare person in our political world. He is one Councilman I have the utmost respect for and appreciate him for all he has done and continues to do for our community each day. To receive an endorsement from any sitting elected official during a primary is to say the least very rare. While knowing Councilman Downard's policy of not endorsing during primary campaigns, and then receiving this endorsement, is to say the least very humbling and it is with great pride that I am honored beyond words and offer my sincerest thanks for this. I look forward to working with Councilman Downard on the issues facing Louisville and working in Frankfort to help us better our community. Many thanks Councilman. I will do my best to uphold the trust you have put in me with this public endorsement as I will always work to uphold that trust for all I seek to represent. I wanted to share some exciting news about our campaign. Over the past couple of days, our campaign has completed a poll of likely voters in our community. I am proud to say that we have moved into a strong second place position in the poll and we now trail the front-runner by less than 6 percentage points. With almost half of the voters in Louisville still undecided (48.9%), the race for Louisville’s next Mayor is wide open. Join us for one our nightly phone banks beginning at 4 pm and help us walk your neighborhood every Saturday The yard signs are in, please pick one up today! With your help of getting our message to the voters, I am confident of our victory on May 18th. Our campaign will be displaying new television ads, sending out more direct mail pieces and unveiling several major announcements and endorsements. 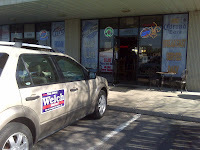 Please visit our website at www.jimkingformayor.com or call our headquarters at 456-2010 to join our efforts! For starters I can find nothing that makes this Mc2 a credible source whatsoever. I also have received 3 calls from folks telling me that they were contacted and were only given 3 choices in this poll. Yep you guessed it the three choices were Jim King, Greg Fischer, and David Tandy. Of course Tyler Allen and all other Democratic candidates were not even in the poll. Since all were not included in this self serving push poll than of course the undecided voters numbers go down and the actual numbers for King, Tandy, and Fischer most likely would to. Simply this. King is so desperate to act like he has a shot that he will intentionally lie or use an unscientific poll to try and convince us that he is the best candidate. Does he really think we are that gullible? Is he that arrogant? Haven't we been put through the lies and deception by the Kings' enough over the last 2 years? We will all know come May 18 one way or the other on King but I will say this. For those who think polls are important continue listening to the proven polls when it comes to these things like Survey USA. Anything else is well just garbage at this point. Everyone uses internal polling to one degree or another when running a campaign but none of us generally actually spend the money for a Survey USA or credible poll. Heck my internal polling shows me leading by 26% points in my primary race over my opponent. My sincerest thanks to each of you who will vote for me but this poll is not a credible one either since I have not paid a respected proven poll service like Survey USA. I will not blast stating something I do not even believe 100% on my own behalf. Seriously Jim King you are only further hurting yourself at this point. You are already a multi millionaire so what do you have to gain by continuing this fight? The only thing you have proven so far is that you will spend whatever you have to out of your own pocket to buy an election. Funnily enough you just paid a fine of $30,000 after being found guilty of violations and the criminal investigation is still ongoing. Using that approach is why you are not leading now. If yuo would have spent the last 2 years practicing the openness and transparency you are trying to use as your platform today instead of lying, and being deceptive about your wrongdoings, yuo may have been in a better position today for this race. Since you chose not to be open, and decided to play the David versus Goliath fight, to try and justify your actions for the last two years you have proven you are only interested in yourself and we the people will remember it at the polls. I, for one believe it or not, am embarrassed for you. I continue to be amazed at the lack of sincerity in you. I also am amazed at the lack of remorse. Waiting to try and act like you know you made mistakes and are really sorry after all this time has proven to the voters that you only have done this now to gain favor for political purposes. That is the reality and the reason you are behind today. So here is some free advice since the mega bucks you have paid to buy practically every named campaign manager in Louisville has failed you so far. Get out of the race, make amends to prove yourself as something other than what we have come to know you as over the next 4 years, and try again later. Spend the next 4 years becoming the man you want us to believe you are and not the man you have proven you are today. How can we expect you to lead when you have fought against everything you now say you are for? A leader leads by example and right now the example you set is one we are used to and simply cannot afford to follow again. Tonight's show was a bit different in the sense that instead of a candidate for office or the latest issue of the day we focused on the youth in our community getting involved in elections and their future. Tonight's guests Inga Schweitzer and Jim Rovenski of the Young Republicans. WHAT DO DISTRICT 13 METRO COUNCILWOMAN VICKIE WELCH AND COUNTY ATTORNEY MIKE O'CONNELL HAVE IN COMMON? Apparently neither mind ethics violations for campaign purposes. On Saturday Councilwoman Vickie Welch had advertised a coffee with her District. You know the whole it is an election year so I need to act like I am keeping in touch with those I represent game. All on our tax dollar of course. Unfortunately, as is usual for Vickie, she does not care about breaking the rules to get what she wants. Take the pictures above for example. As a member of Vickie's District when you showed up to discuss issues relevant to the District, supposedly a non partisan open event for all members of her District, you were treated instead to a reelect Vickie Welch event which of course is against the ethics laws and is illegal. Vickie knows it and broke the rules anyway. And she did it using OUR taxpayer funds as is typical with the elitist Democratic machine incumbents. Certainly not to Vickie Welch who is part of the machine insiders who believe they can do whatever they want. Want more? Not only was this illegal and unethical but the list of guests in attendance was as well. Why exactly was sitting County Attorney, and candidate for the same, Mike O'Connell there? Why as an officer of the Court did he stay there and do absolutely NOTHING to address this illegal behavior? Does he not have a duty and an obligation to uphold the laws? Is he now guilty of aiding and abetting? Of course not if you are a sitting County Attorney who got the job by appointment and are a Democrat insider as well. At least that is the way these morons operate. His handling of the whole Jim King case was enough to prove to me what a hack he is. Mascagni said an assistant county attorney reviewing the complaint said he planned to send Springston a letter suggesting he go to the Kentucky Bar Association with his complaint. Peas in a pod in Welch and O'Connell? You bet. With Commonwealth Attorney Dave Stengel bought by Jim King and carrying his water, Councilwoman Vickie Welch a Dem insider who knowingly abuses OUR TAX funds for her reelection campaign, and now County Attorney Mike O'Connell being an inside part of taxpayer fund abuse and reelection violations with no repercussions, one has to wonder how in the hell do you get justice and fairness in Jefferson County elections. We have a Judge who got elected (Katie King) by the use of illegal funds and still is on the bench, though criminal charges are still being investigated, her Dad, and illegal campaign finance aider and abettor unindicted co conspirator, Metro Councilman Jim King is trying to buy the Mayoral ship and now this. Trust that someone will be filing charges against Vickie Welch in the near future. Trust further that since County Attorney Mike O'Connell cannot and will not do his job that charges will be filed against him as well. It is time to send a message to all the insider elitist that they better wake up and pay attention. Times are changing and We The People will not allow this "entitlement" mentality any longer. Tonight Ed and I had Brian Simpson on the MyViewMatters Radio Show. Brian is a candidate for House District 46 in the Republican primary. Tonight we got a chance to speak with Brian about issues relevant to our Commonwealth. It is with great pride I received this endorsement from Independent Kentucky today. For months now I have worked alongside this organization to allow them equal voting rights in the political process and many other things. It is an honor to have this endorsement from the independents throughout our Commonwealth. 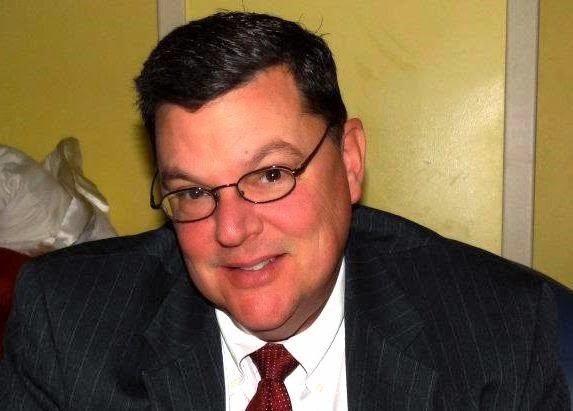 Independent Kentucky, the organization representing independent voters in Kentucky has announced its endorsement of Edward Springston, running as a Republican candidate in the 28th House District. Edward Springston has a history of working for people. 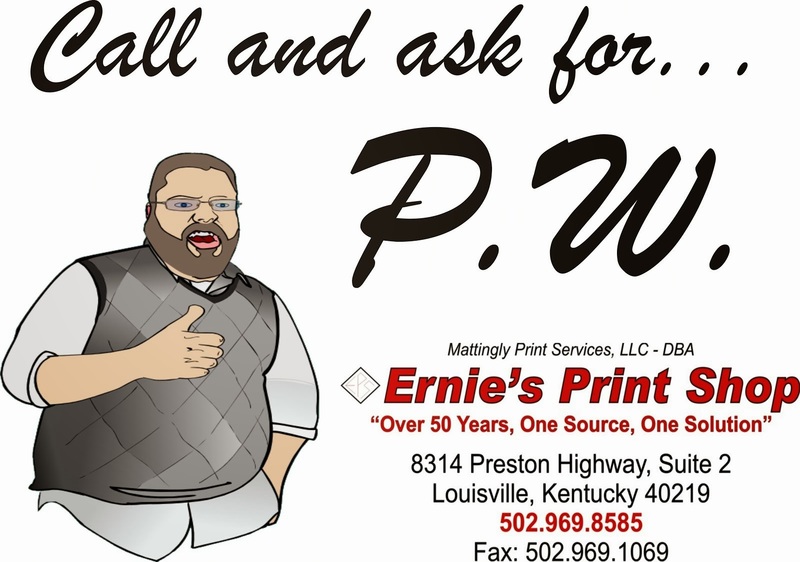 He has shined light on Louisville politics and worked to educate the people of real Louisville news and politics. Mr. Springston has been a strong supporter of working Americans unions and disenfranchised voters. Springston has stated “Times are changing” and we agree. Mr. Springston has publicly supported our efforts in political reform and it is our pleasure to support the best candidate in the race! For almost 5 years now I have made it a mission to inform voters in our communities about issues, problems, lies, and deception from our elected leaders and those who want to be. Sometimes even I admit it is an overwhelming task and admittedly in the beginning there were times I simply had to ask myself "is this really worth it?" But then there were great days and visible rewards that made it all worthwhile. Some of my favorite ones? Watching IPL get their due. The first one was seeing convicted felon, and husband of Council woman MaDonna Flood, John Flood resign. Though it was an inside deal by "special prosecutor" Chip McKay who swore he would not make a deal (and one wonders why I do not trust special prosecutors? ), that made it happen Flood is now gone from the daily harassment this convicted felon put our neighbors through. Additionally soon thereafter Flood's longtime bosses, cohorts, and co conspirators in Bill Schreck and Charles Cash, finally resigned because the heat was on and they could not avoid it. Yep I was involved and forced the issues of IPL to the forefront. Secondly, being the one who outed Abramson and his racist "poorer, blacker, and older" comments from West Virginia that forced us to look at him in a new light was one more guilty pleasure. Seeing Crit LuAllen finally burn him on an audit that many including myself had been begging for was even greater. The ongoing Jim King saga is another example of me being involved. While there were many questions asked about his illegal financing of Katie's election NO ONE would step forward and pursue the issue. I did. It cost me a great deal both professionally and personally but it was a fight that needed fighting and a fight that continues today. Yep I am still doing it and am proud to be one person who will demand justice for us all..
By doing so, and keeping the heat on the KREF so they could not blow it off, the King's were given the highest fine I know of ever being meted out by the KREF in Kentucky's history to the tune of $30,000. A drop in the bucket to King but a message all the same to everyone else that this guy is not trustworthy. And the criminal investigation that they keep stalling is still ongoing and will result in more. Stay tuned. I have done this as the David versus Goliath, taken the hits, and against all odds of succeeding I succeeded. I will continue this case to its conclusion. I saw a need and got involved in the Kentucky Department of Fish and Wildlife issues regarding transparency and lack of oversight enabling Commissioner Jon Gassett to essentially do anything he wanted. This resulted in me being instrumental in helping get SB 64 passed through both Houses in Frankfort unanimously. Again I was told it could not be done and it was. Then after all these years of working for labor issues and standing up against those who would destroy labor in our community, including Abramson, I finally felt vindicated when the Teamsters local 789 endorsed my campaign for Kentucky State House District 28. Though I continue to see some unions endorse idiots like Jim King and Greg Fisher, hustlers, liars, and a union buster in Fisher, the Teamsters gave me hope to believe that finally labor unions were starting to pay some attention to someone other than a traditional lying entrenched machine Democrat. I am both honored and humbled by their trust in me yet once again I was given another surprise today. For months now the Gatewood for Governor campaign has been rolling and Gatewood, and his running mate Dea Riley, have been out meeting and greeting everyone and telling it like it is. Today they received the endorsement of the United Mine Workers of America. The UMWA has traditionally supported the entrenched Democrats, like current bought and paid for Governor Steve "lip service" Beshear, so it was an expected endorsement to continue the same. To see that the UMWA took a hard stand and actually endorsed outside the Dem machine, and endorsed an Independent at that, has shown that yes indeed organized labor unions are starting to look at the big picture and not the lying entrenched party politicians. While only a couple have had the guts to be true to those that elect them to these leadership positions in organized labor, it is refreshing to see someone actually starting that ball rolling. Hats off to the Teamsters and the UMWA for having the wisdom to understand that there are true candidates that really do care for the future of us all and just happen to be non Democrats. I was told 5 years ago that one man cannot make a difference and I was wasting my time getting involved and doing what I do. While one man standing alone may not make a difference, one man giving voice to the voiceless, asking for help, and willing to risk it all does indeed make a difference. I set out to prove that it would take one man to start the ball rolling 5 years ago, hence the name I have used from the beginning "MyViewMatters," and so far thanks to all of you who have paid attention, and are now finally waking from the sleeping slumber of "we can't make a difference," the proof is before us. One man. One voice that has now grown to a network of literally thousands of people getting involved, asking the questions, and more importantly demanding the answers to them, has forced several changes in the way we allow ourselves to be treated by our elected leaders. My friends We The People have always had the power and we have not always used it. Today we are doing so now more than any other time I can remember and the differences are startling. We must continue to fight and see what the next level gets us. But I can honestly say this much. THIENEMAN HOSTS ONLINE FORUM TODAY AT 1! This in from Thieneman for Mayor campaign. Check it out. 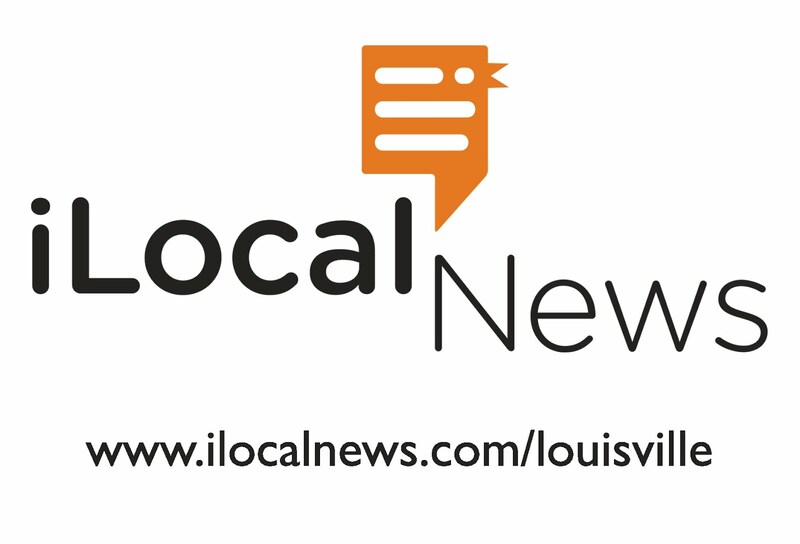 Louisville, KY – Chris Thieneman, Republican candidate for Louisville Mayor, will announce a jobs tour and discuss economic development for Louisville. He will hold an online press conference at 1 p.m. The online conference will be hosted on the front page of his website and will allow anyone to ask him questions live for 30 minutes. WHEN: Friday, April 2, 2010 1:00 p.m.